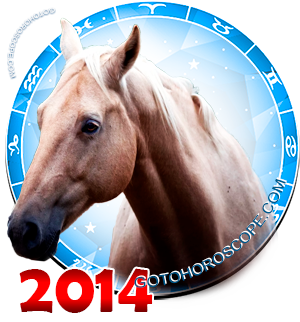 January 2014 Horoscope Capricorn, free Monthly Horoscope for January 2014 and Capricorn Astrology Forecast for the month ahead. For the final sign of the Earth trigon, Capricorn, January 2014 will be a determining time. 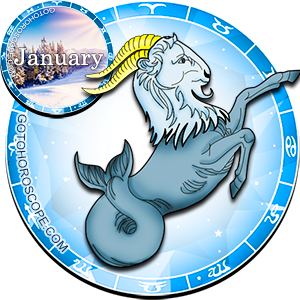 What exactly January will determine - that is another matter, fully dependent on the Capricorns themselves. However, this statement does not imply that the stars and the planets of the Solar System will remain on the sidelines when the sign of Capricorn will require assistance or when everything will be going well. Quite on the contrary, the celestial energy will be with the Capricorn like never before, but its direction of its use will be up to you to choose yourself. The main ally of the Capricorn this month will be your planet-ruler Saturn, which in light of several general combinations may radically change its preferences. Obviously, the most significant spike of Saturn's negativity will happen during the First Moon Quarter (January 8th) and possibly during the last quarter (January 24th). In this case, the Moon, responsible for the "expulsion" of Capricorn, will oppose Mars, its exalt, and Jupiter, responsible for the "fall" of the sign, will converge in fierce battle with its celestial leader - Pluto. 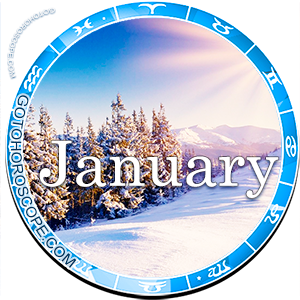 As a result, with respect to business, January 2014 will be a time of great opportunity and anticipated prospects for the Capricorn. Most of the energy of those celestial bodies that are in a bad mood will be suppressed by the end of the first ten-day period, while the positive impulses of some planets, namely Mars and Saturn will stay with you until the end of the month. It is obviously that such an unusual energy duo (Mars-Saturn) can give unusual effects. For example, in the midst of some pretty ordinary conflict with colleagues you will suddenly pronounce a speech that will impress management so far, that they will realize your full potential and definitely not leave you at the same place. On the other hand, your passive actions may lead to the fact that you will have to resign from your position. It is true, because the only person that has the right to succeed is one that always strives for more. Everything will be solely in your hands. Stars will provide you with the opportunity and whether you choose to seize it is up to you. At the same time, in the area of personal relationships, you will observe an exactly opposite situation. Here, little will depend on you unfortunately. The thing is, that precisely this sphere of life will be the focus of the Moon's negative energy. Of course, much of its negative emanations will be blocked by Mars, but in the relevant amount of time, the Red Planet will have other opponents, so there will still be a negativity leak. In light of you lacking any other defense, precisely this leak will be enough to bring a ton of huge problems into your life. Relationships with friends will go downhill. The family home will no longer be a fortress to you, where you can survive any storm, since it is within the fortress that storms will be born and die every day. As for your lover, everything will be even more complex and in every particular individual case the situation will develop differently. However, all of what was said above just tells you to never give up and clog under the bed in an attempt to ride out the difficult period. Remember, that no planet can compete with the energy of the human body. So you always have a chance to win, just find the source of the problem and quickly neutralize it.